The magic of a diverse world is that there is a full spectrum of skin tones and types. “Beautiful” skin isn’t any one particular colour or shade; it is healthy and vibrant. Ethnicity plays a part not only in the tone of your skin, but in how it responds to physiological and environmental factors. Let’s take a look at some common complaints and traits of certain skin types – and the best way to keep them looking and feeling their best. Pigmentation and Melasma (brown or gray patches, usually on face): Issues with hyperpigmentation and patches can be difficult challenges to deal with, and it affects predominantly those with Asian, Hispanic and African ethnic backgrounds. The Cosmelan Depigmentation Peel is an ideal solution. It targets areas of hyperpigmentation by inhibiting melatonin production. This lightens hyperpigmented areas, helping you achieve a balanced, even tone. Age Spots: People with Caucasian and Asian backgrounds are especially vulnerable to age spots, similar to melasma, these cause discolouration to the skin. 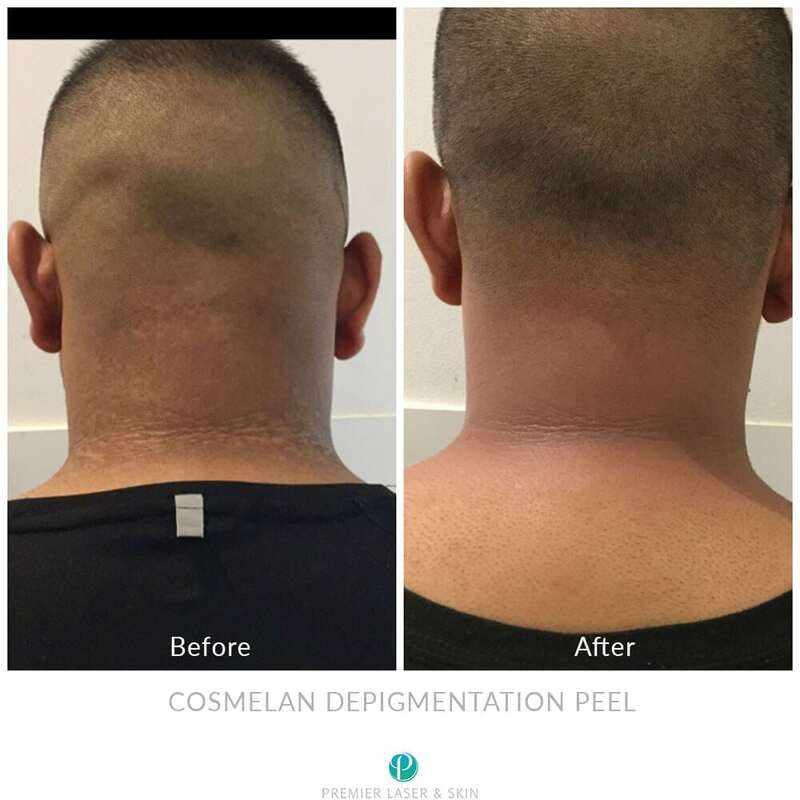 Again, the Cosmelan Depigmentation Peel offers the results you want. It lightens affected areas, and you can see results in just one clinic treatment and a one month homecare regimen. Rosacea: This skin condition, which causes redness and visible vessels in the face, primarily affects those with fair skin. The best treatment option is IPL Skin Rejuvenation. A broad wavelength light is pulsed over the skin, IPL precisely treats affected areas to reveal a vastly improved appearance. Acne: Acne is truly an equal opportunity skin condition. It affects people of all ethnicity, and it can be a stubborn problem to solve. We cannot recommend the DermaClear Anti Acne Peel strongly enough. Using beta hydroxy acids and alpha hydroxy acids, the peel treats existing blemishes and reduces acne-causing bacteria. Your skin will be left balanced and refreshed. Love the skin you’re in! London Premier Laser & Clinic delivers solutions that work for you.